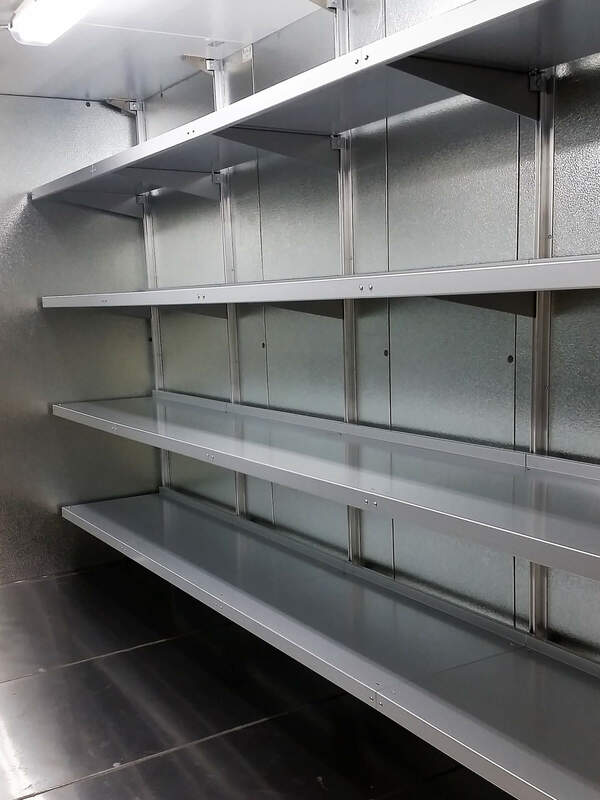 Mortuary Shelving ⋆ Shelving Systems by E-Z Shelving Systems, Inc. In the role of mortuary shelving, E-Z Shelving’s core attributes serve mortuary operators with distinction. The system components are heavy-duty, capable of thousands of lbs of distributed loading. As a cantilever shelving system, the front of the system is 100% open, improving the ease and safety of use. Each shelf tier is infinitely-adjustable, improving space-efficiency where storage space is crucial. 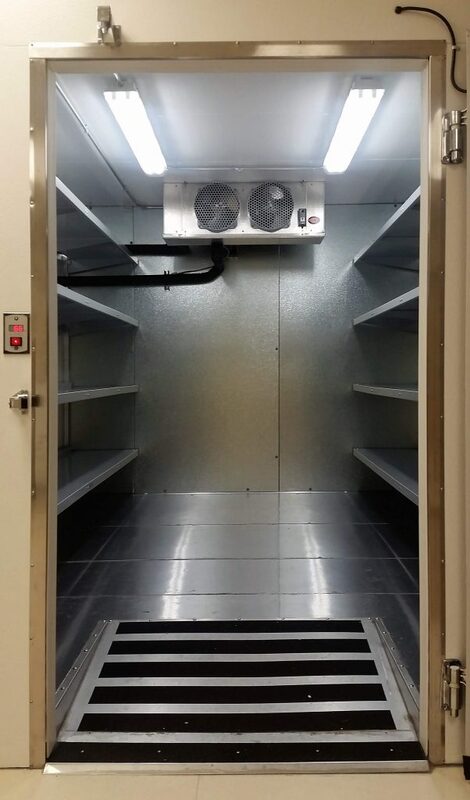 Below please browse the photos of a mortuary shelving installation courtesy of Advanced Cooler Inc. in St. Charles, IL. 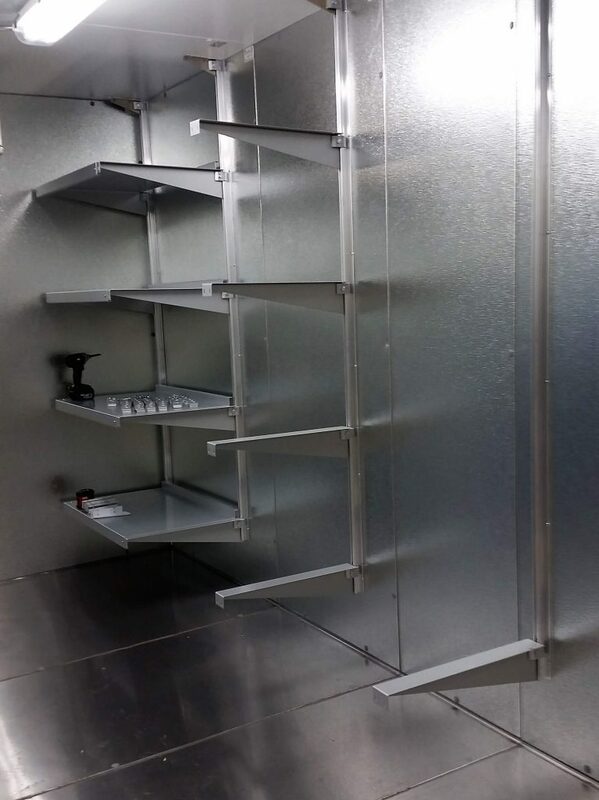 For information on how to plan your shelving system call us at (800) 353-1331, or use our contact form. E-Z’s continuous shelf tiers can run wall-to-wall, floor-to-ceiling, or any distance in between. 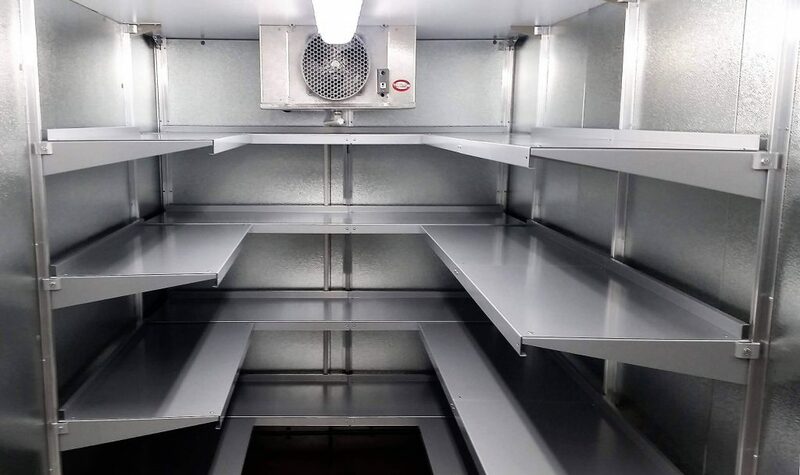 E-Z offers over a dozen different shelf depths, helping you find the perfect balance of shelved area and operational space. E-Z’s wall-mounted shelf tiers are free of front support posts. The shelf tiers, and the floor below them, are easy to clean and maintain. E-Z Shelving is fully-adjustable. Move the shelf support brackets into the desired position along the continuous channel of the upright. and secure them into place with the included 7-gauge clamps. The result is space-efficient storage with perfectly-level shelves, at the exact level you need them.